While Sam’s Club may be a great place to buy 86 rolls of toilet paper, they are not a great place to buy a diamond. While they had one nice diamond, the quality was inconsistent (had a few poor quality diamonds). The prices were too high as well. Given that a place like Sam’s Club isn’t a place where you will get top level service (ring resizing, assistance from a knowledgeable diamond or jewelry expert etc) it just doesn’t add up for me. 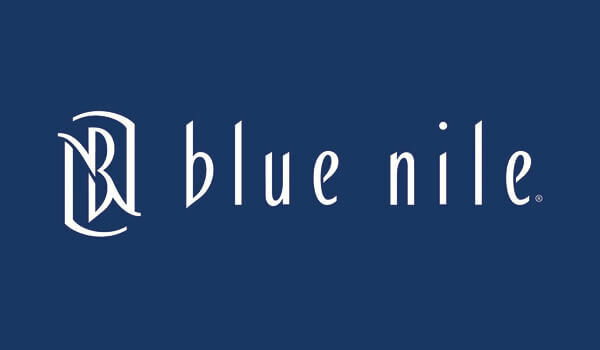 Overall, you will get far better value and service shopping from a reputable retailer like James Allen or Blue Nile. Considering buying a diamond from Sam’s Club? While Sam’s Club offers great deals on bulk groceries and home products, the diamond selection isn’t the best. 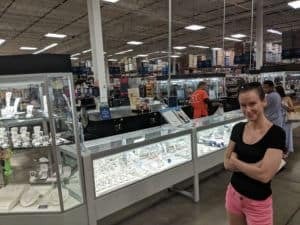 Below, we’ve reviewed the Sam’s Club diamond shopping experience, and even included a conversation with a reader who was considering buying a round diamond from Sam’s Club. Sam’s Club is a pretty well known members-only retailer. The concept of big-box wholesalers catering directly to consumers started to take hold in the early 80s. Seeing the potential in the market, Walmart quickly acquired a few small chains in that field and were off to the races. 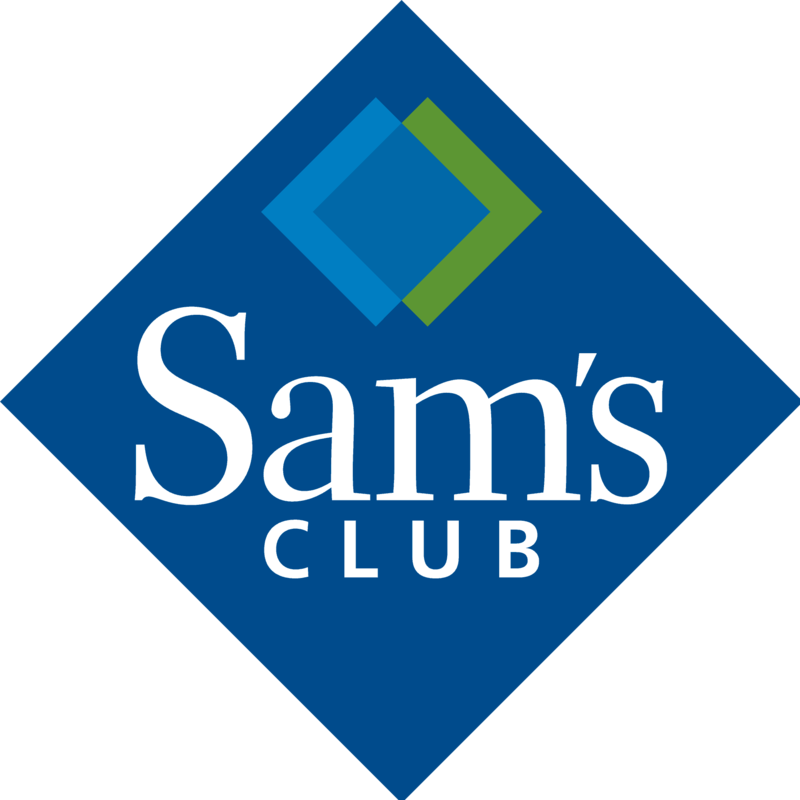 Today, Sam’s Club is the second largest company in that field (trailing Costco), operating almost 600 stores nationwide that generated $57 billion in sales last year. Annie and I secret shopped Sam’s Club while visiting Fort Myers, Fl. This was the first time I ever saw a Sam’s Club (we had a Costco where I grew up). I was very surprised how friendly everyone there was. Maybe that’s an exception to the rule, but the employees we interacted with were chatty, helpful and a big plus to the store experience. Unfortunately, selling diamond rings takes a little more than a friendly attitude. It’s not like pointing out where the jumbo pack of toilet paper is. You need to have knowledge and experience guiding someone with such an expensive and particular purchase. This is where a company like Sam’s Club will never excel. They are not a jewelry company, and there is no way they can hire, train and retain true professionals in the field. We wanted to look in the case and there wasn’t anyone around. Eventually someone came from a different department (it looked like he came from the hunting section). He was very friendly, but knew absolutely nothing about jewelry. I understand that Sam’s Club is never going to claim that their jewelry service is their strong point. In order to overcome that deficiency, they need to hit it out of the park when it comes to quality and value. One of the limits to Sam’s is their selection. They don’t have a lot of variation to work with. While most jewelers would have dozens of setting styles and dozens of diamonds that you can mix and match for endless variations, Sam’s Club is limited to a select few pre-set rings. 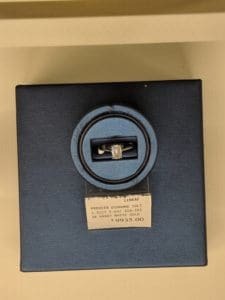 They had an absolutely lovely 1.32 ct E color VS2 emerald cut in an 18kt white gold solitaire setting. The inclusions were slightly noticeable, but it was a very nice diamond and looked great in the ring. The price for the ring was $9,935. The second diamond was very disappointing. We looked at a 0.99ct (approximately as it didn’t have a real certificate) I color, I1 clarity round diamond in a 14kt white gold setting for $3,324. The diamond was horrifically cut (65% depth, looked a little lopsided etc) and the inclusions were horrific. I wouldn’t recommend this diamond at any price. Lets start with the first diamond. I thought it was fantastic. The question is whether the ring is worth the money. Here is a comparable 1.30ct E VS2 emerald cut from Blue Nile. This one is just as beautifully cut and has similar inclusions. The price for this one is $7,704. If you add it to this solitaire setting the total price $8,104. 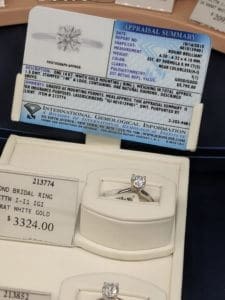 While the diamond ring from Sam’s Club is nice, it doesn’t seem to offer particularly good value. As you can see, a virtually identical ring from Blue Nile was 20% cheaper. And this was the best Sam’s Club had to offer. Lets move on to the ring that was not the best Sam’s Club had to offer. Here is a similar 0.96ct I I1 GIA certified round diamond from James Allen for $2,560. I don’t particularly like the diamond, but its the same quality as the Sam’s Club offer. If you put the diamond in this 14kt knife edge solitaire setting you’ll have a comparable ring for 20% cheaper. Instead of paying for such low quality from Sam’s Club, you can go with something like this 0.96ct H color, SI2 clarity, GIA certified, round excellent cut round diamond. Adding this diamond to the solitaire setting will cost you the same as the Sam’s Club ring, yet the diamond is far superior. We were contacted by a reader looking for a round diamond. Their budget was $10,000 to $12,500 and they were considering a diamond available from Sam’s Club. 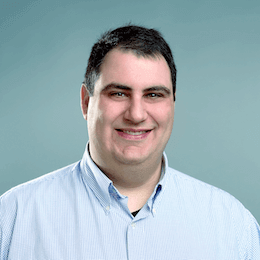 Your website is excellent, but there is so much information to take in. I know I want a round diamond; and my budget is approximately $10,000 to 12,500. There is a diamond at Sam’s Club that is 1.17; G; VS2; and the cut is very good. With tax I’m looking at roughly $10,000. But I did see that color on a round diamond doesn’t matter when it is round? So, should I go for a larger diamond somewhere else? Thanks for the recommendations, Ira. I live in South Carolina. What is the difference between James Allen’s ideal vs. true hearts / arrows ideal? Do you think it is worth the extra $3,000? Also, how noticeable will the blemishes on the 1.23 carat diamond actually show? It is hard to tell on a computer screen vs. actually seeing the diamond. Nevermind. After reading your website more I realize that “hearts / arrows” diamonds are the same as “triple excellent.” And you are pretty clear that “triple excellent” diamonds are not worth it. (1) Why did you choose the two you picked at the H/Sl1 range that you recommended? I see there are others, but I have no idea why you picked what you did over them. (2) If my fiance wants a 6 prong “low profile” setting – will getting the larger diamond than 1.25 carats make a difference? I have read elsewhere that you can’t tell the difference once you’re over 1.25 carats unless you make a big jump. Thank you for your help in this matter. I will be sure to recommend this website to others. I limited myself to H SI1 only because you had seen and liked a G VS2. I didn’t want to stray too far from that base. But if you’re willing to set me free, I would probably drop down in clarity and possibly another color grade depending on the setting you choose. As for larger vs. smaller stones – anything larger than a 0.2 mm differential in diameter will be noticeable to your eye. I’m about to pull the trigger. Here is the setting I plan to get, and I guess I’ll go with the 1.23 ct you recommended earlier. Let me know if you any other recommendations. Thanks! Looks great! Please stay in touch and let me know what you think when it arrives! Is Sam’s Club Worth It? All in all, Sam’s Club isn’t a great place to shop for diamonds. 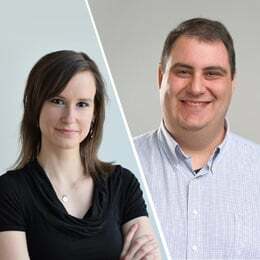 Instead, specialist jewelry retailers like James Allen or Blue Nile offer a better selection of diamonds and settings, as well as much better pricing. Need help choosing the right engagement ring? Contact our experts and we’ll get in touch with personalized advice on the highest quality options for your budget.